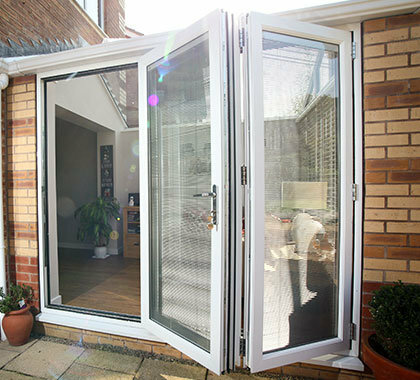 Bi-fold doors can provide a stunning alternative to Patio or French doors and offer you a modern space-saving solution for your home that will definitely give it the “wow” factor. 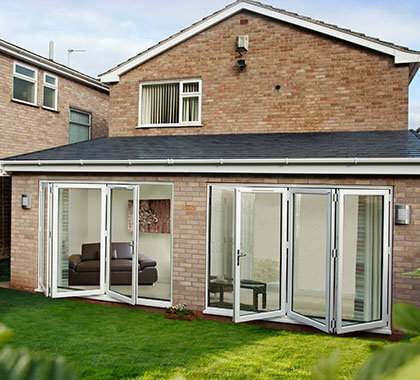 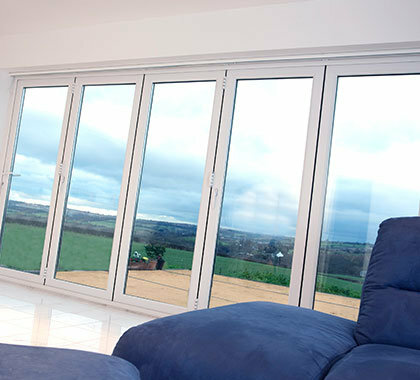 Our range of bi-fold doors are the only uPVC range with a completely smooth opening and closing action, slimline frames, bespoke hinges and locks, together with a choice of styles, colours, pane combinations and handles – and a registered design low threshold opening for family-friendly or wheelchair access. 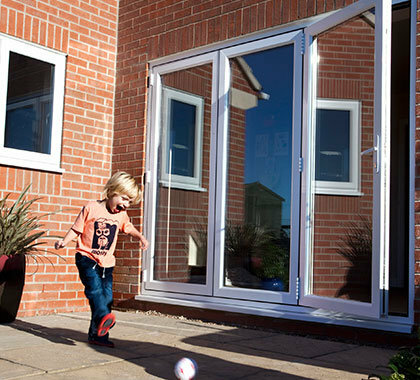 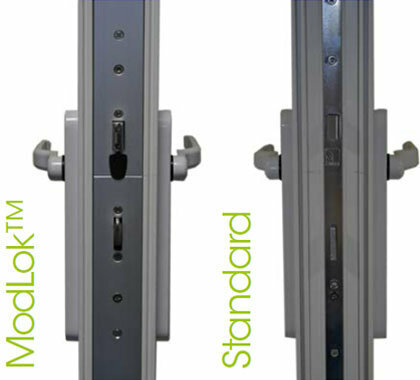 All our bi-folding door range is fitted with ModLok™ – a locking mechanism for extra security and additional strength that seamlessly combines the door’s reinforcement with the lock, to provide the highest levels of security for your home. 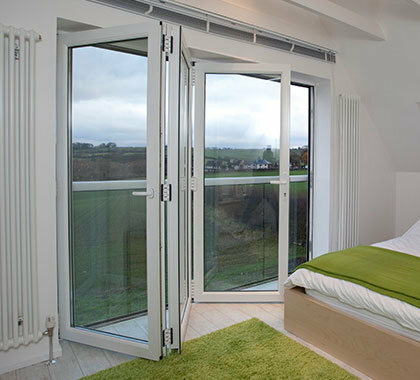 Plus that’s not all, the EnergyPlus multi-chamfered outer frame and sash design offers maximum thermal efficiency, helping to keep energy bills lower. 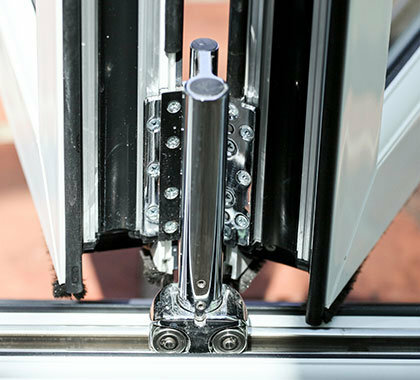 The shootbolt locking mechanism designed into each of our bi-folding doors, ensures the door is bolted firmly into the stainless steel track, maximising your security. 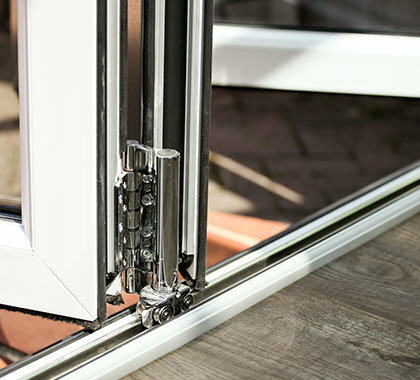 Built in anti-lift features, anti-bump cylinders and optional anti-snap cylinders, combine to bring you extra peace of mind. 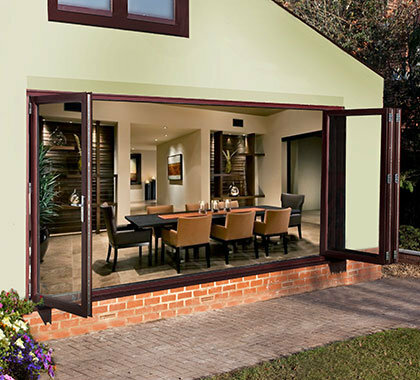 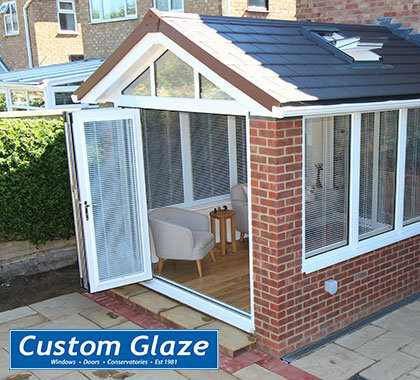 There is a huge choice of opening configurations so you can be sure of getting the right one for your home – from a 2-pane to a 7-pane door – let us help you to decide what is best for you.